A Comptroller and Auditor General Report earlier this week had criticised the railways over its flexi-fare scheme. 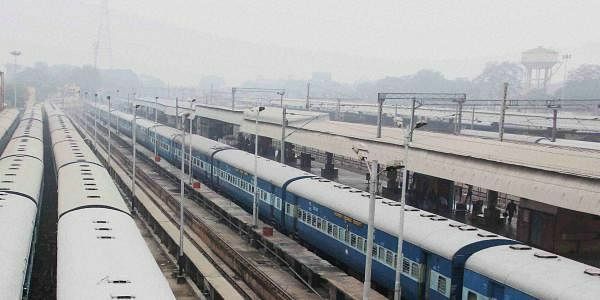 NEW DELHI: Railways are not comparable with airlines, Minister of State for Railways Rajen Gohain told Lok Sabha today and also denied that the national transporter was losing passengers because of high fares. He said that fares of trains "may or may not be higher than airfares" and that the two are different modes of transport. "It is the choice of the passenger to opt for either railway or airlines for travelling. Further, the fares on airlines between same origin-destination are different in different airlines as well as in different services during the day in the same airlines. "Hence, fares of Indian Railways are not comparable with airlines," he said. Gohain also said that during 2016-2017, the number of originating passengers who travelled by trains was 8116 million vis-a-vis 8107 million in 2015-2016, registering an increase of 0.11 per cent. A Comptroller and Auditor General Report earlier this week had criticised the railways over its flexi-fare scheme and said that a comparison with airfare for 13 sectors showed that travelling in aeroplane was cheaper than in train for a large number of routes. When compared to the cost and time taken for travel by premium trains, airlines became a cheaper and preferable mode of travel, the auditor had said.